It seems like many people in my life right now are physically or emotionally at one extreme or another. Things either aren’t going well for them at all… or things are going great. There’s not a lot of middle ground. So, is there a Bible verse that applies to them all? Is there one that can offer words of advice, help, and encouragement for both? 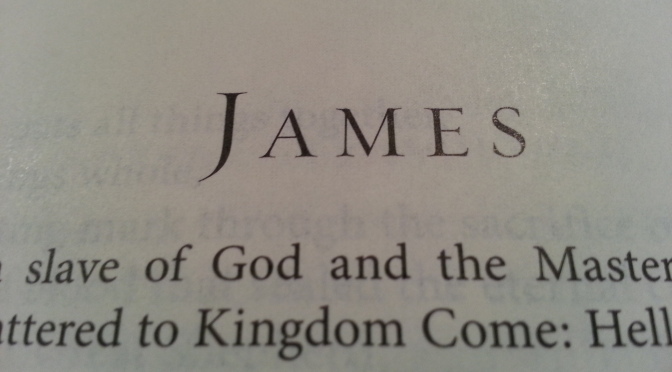 Turns out there is in the book of James. Good advice whether you’re happy, hurting, or somewhere in between. We all get too involved in our joys or sorrows to stop and thank God for all he has done for us and given us and to ask for his blessings. He knows our needs but wants us to ‘talk’ to him about both!!!! Well said, Noralee. Thanks for your comments. We’re doing a Beth Moore study of James. Very fitting verse!